This gift hamper will show you care with delicious biscuits that taste as though they have been freshly baked. Show how much you care and surprise them today! 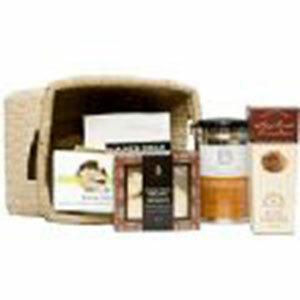 Biscuits in a Gift Basket is the perfect gift hamper for any occasion. Comes gift wrapped with a personalised card.This beautifully presented gift hamper is jam-packed with gourmet biscuit delights. The perfect gift for any occasion, particularly if a special friend needs your thoughts or sympathy.